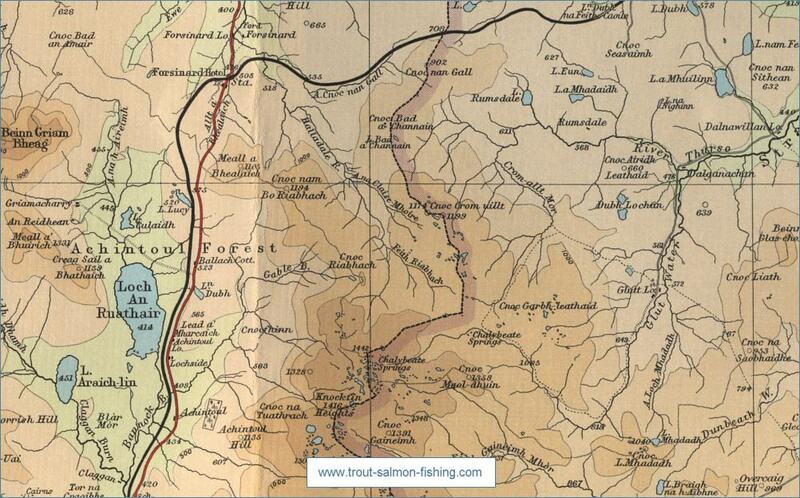 Forsinard, lying at the southern end of Strath Halladale lies within reach of some excellent trout lochs. 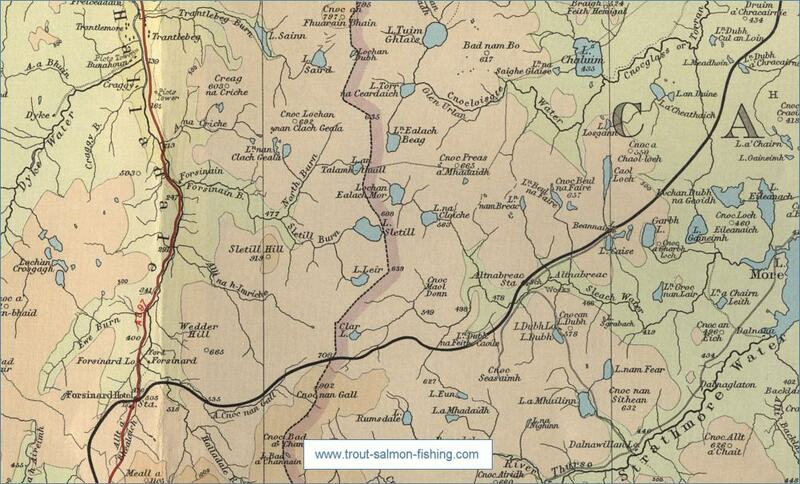 As in most areas of the north of Scotland, some lie close to the roads while others are more remote, requiring a bit of a walk to reach but well worth the effort with some great trout fishing at the end of it. 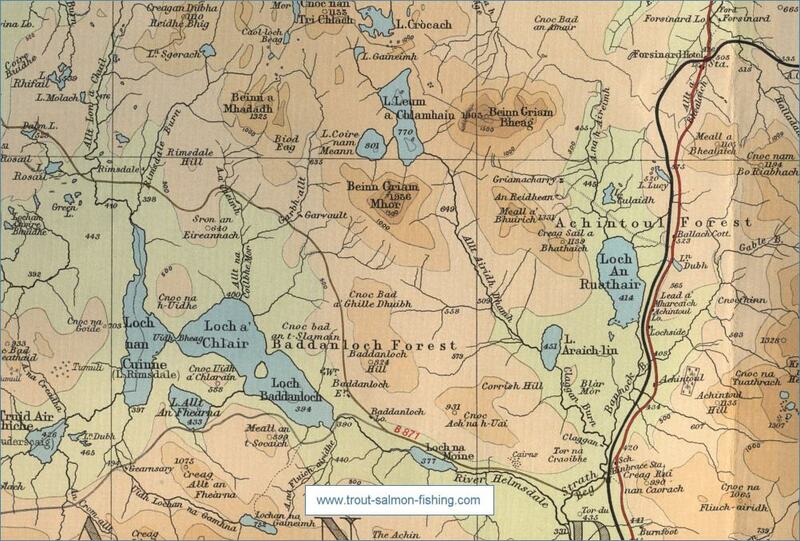 In addition to the information provided here, I would recommend that anyone planning a fishing or walking trip in Scotland should equip themselves with a compass and the appropriate Ordnance Survey map. The most useful of the O.S. 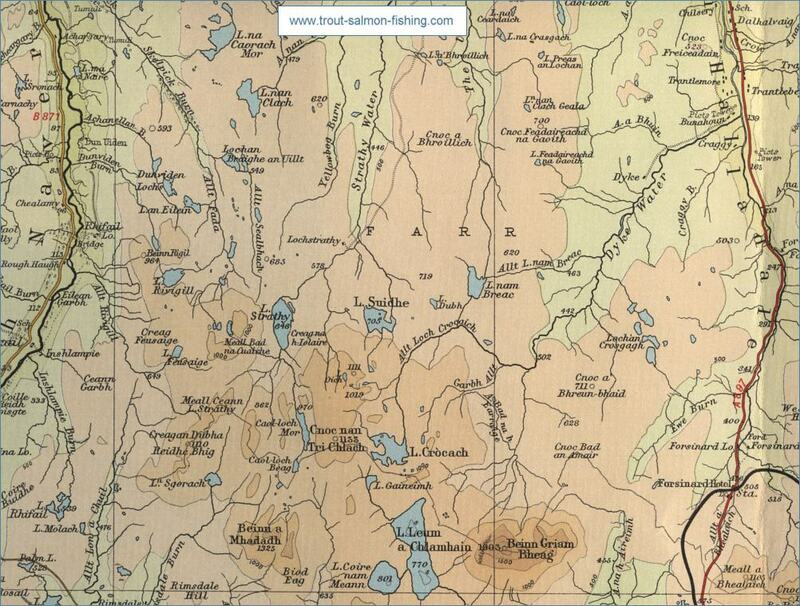 maps for the fisherman is the Landranger series, scale 1:50,000. For each of the lochs and rivers listed here, I have given the relevant O.S. 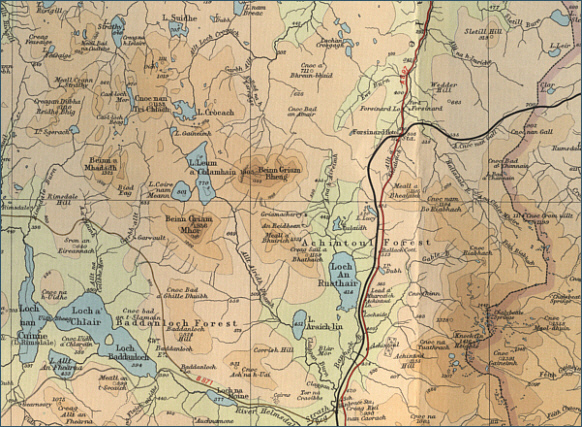 Map number. A new fly fishing club formed recently to enhance the fishing opportunities available in the Strath Halladale area for the local community and visiting anglers. Membership is open to all, with initial membership fees kept as low as possible. Seasonal membership is very reasonably priced, which covers all bank fishing with no further cost, although fishing sessions must be booked on individual lochs online via the website. The 41 lochs available for members to bank fish represent amazing value and fantastic variety. Boats are available for members on 10 lochs with a minimal charge applying.